Led by Albuquerque artist Larry Bob Phillips, Signs of Life is a collaborative group of artists from Central New Mexico Community College that harnesses the vernacular of traditional sign painting to investigate meanings and spaces within the urban sphere. As a means of paying homage to the skilled artists and wordsmiths who helped develop signage for area businesses throughout the last half century, Signs of Life has created a mural that explores the identity of Downtown Albuquerque, using historical narratives and contemporary culture to resonate with a refreshingly poetic optimism. The themes and content about Downtown Albuquerque are informed by the group's research in contemporary culture as well as historic and prehistoric Albuquerque for iconography that tells the complex and layered story of who we are. Larry Bob Phillips received his BFA from the Kansas City Art Institute and MFA from the University of New Mexico. 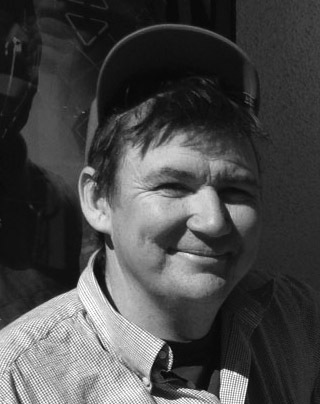 His work has been exhibited in many galleries and institutions both nationally and internationally including the Houston Arts League, Recess Activities (NYC), Good/Bad Art Collective (Brooklyn), New Mexico State University Art Museum, Roswell Museum of Art, Entrance Gallery (Prague), Center for Contemporary Art (Santa Fe), and most recently he presented two large, site-specific murals at the Albuquerque Museum. 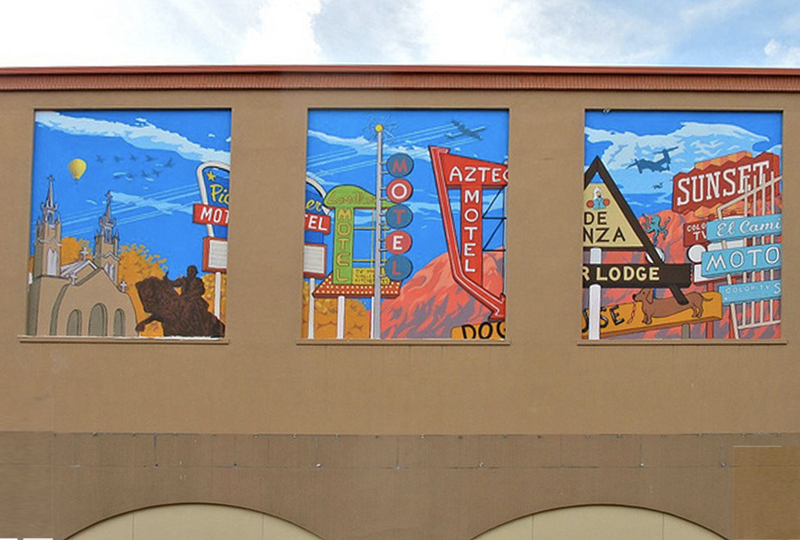 In addition to his fine art practice, Phillips has completed numerous large-scale mural projects in a variety of locations across the Southwest and beyond. He lives and works in Albuquerque.